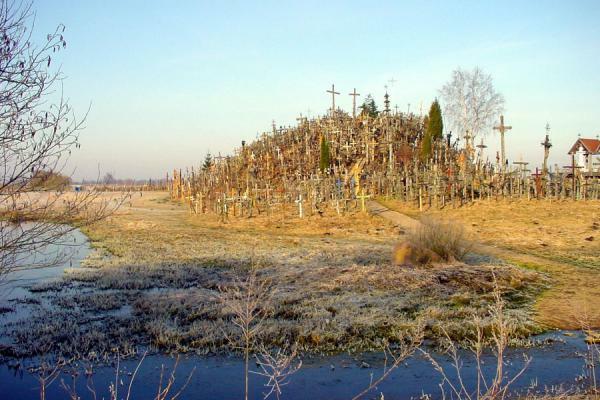 Although Lithuania was the last European country to adopt Christianity as its religion, it perhaps has the highest density of crosses on the continent. 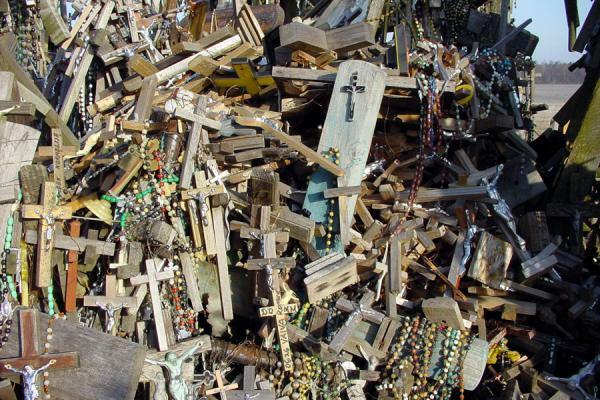 This is certainly the case on the Hill of Crosses, where an impressive amount of crosses has formed an incredible sight over the years. There is still discussion about its origin, but what's sure is that the hillock has served not only a religious, but also very much a nationalistic function. The Soviet secret police, KGB, even got to bulldozing the place to the ground, closing roads leading up to it, and digging trenches around it. 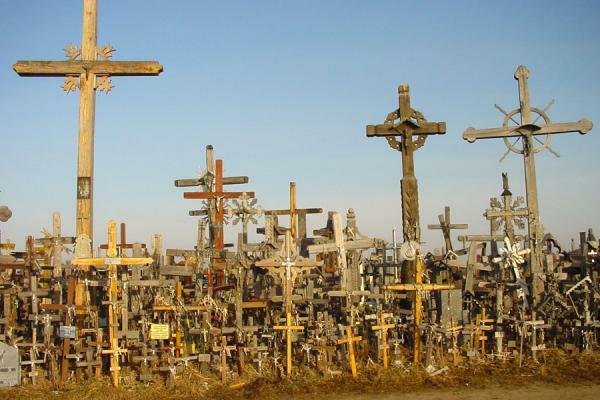 Still, crosses always returned. 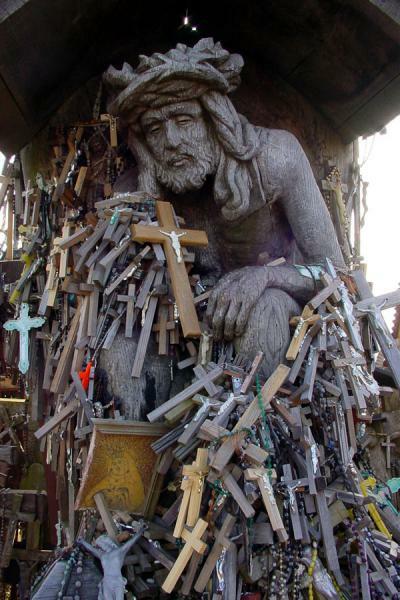 They are erected in memory of beloved ones, of people disappeared during the war, during the Soviet occupation, or just out of religious motives. It is only when you come closer that the magnitude of the place dawns on you. I arrived very early, and was the only visitor for a while. It was a wintery March day, clear blue skies, and the only sound to be heard was the chirping of birds in the air. 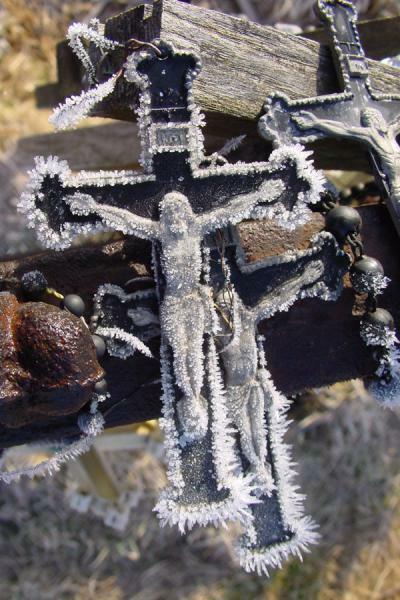 After a while, a little wind made the smallest of crosses move and rattle against each other. 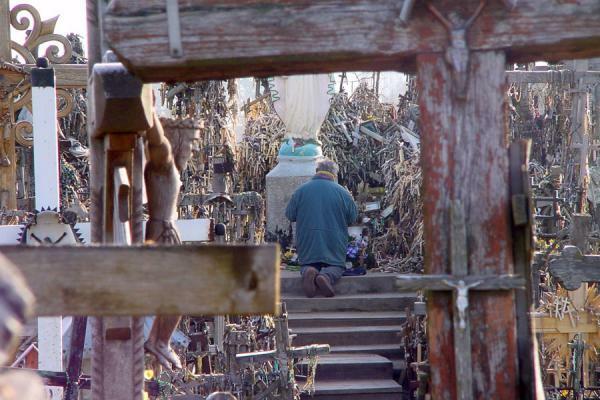 At one moment I discovered, an old, lonely man who had been with me on the bus, kneeling before a white Mary, knees on the white ground, where he remained for a long time. It was almost as if he had become a statue himself. 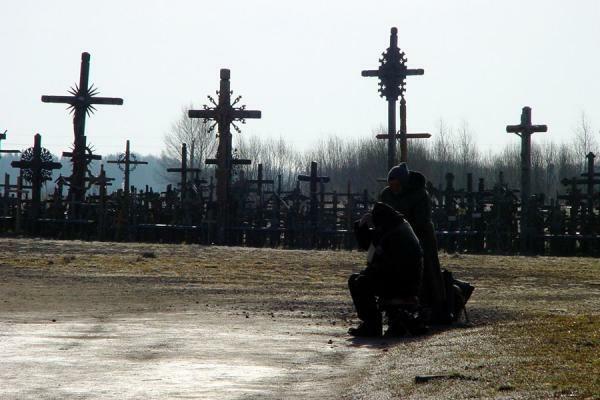 Personal travel impressions both in words and images from Hill of Crosses (). Clicking on the pictures enlarges them and enables you to send the picture as a free e-card or download it for personal use, for instance, on your weblog. 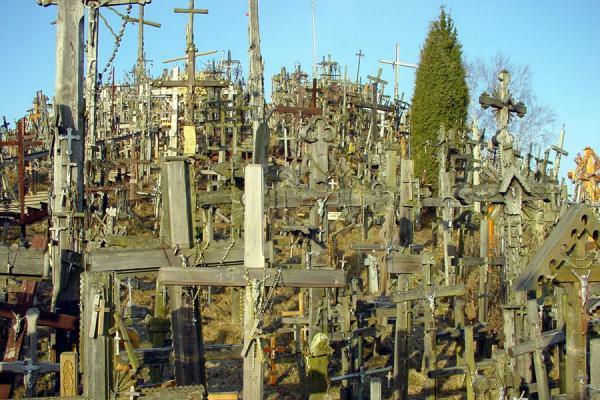 Or click on the map above to visit more places close to Hill of Crosses. 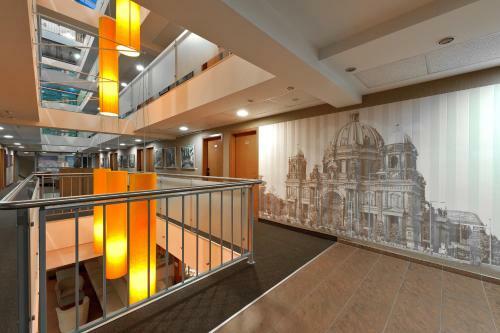 Book a hotel near Hill of Crosses, Lithuania, Lithuania with low prices for all kinds of hotels - without reservation fees.